If you’re feeling a little daunted by the various components that make up this dish, don’t be because here’s my 10 easy steps to follow. It’s really a doddle and if you follow these steps, you simply can’t go wrong. Boil some water to steam/cook some green veg – kailan works best! 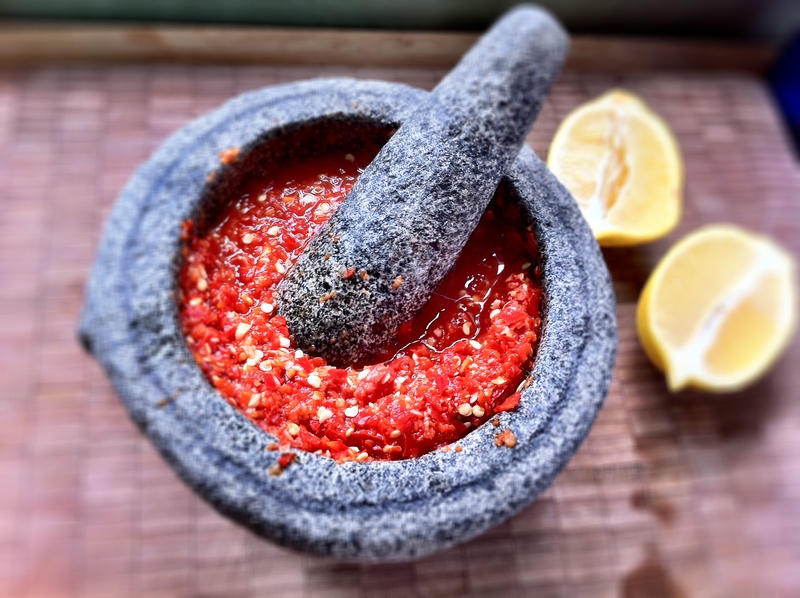 I have a food processor so I cheat a little by using the food processor to chop up all the chilli and garlic before I transfer it to my mortar and pestle for pounding. If you don’t have a food processor, it’ll just take you an extra 2 minutes to slice the chillies and chop the garlic. Don’t be tempted to forgo the pounding if you have a food processor though. I’ve never been able to extract the same amount of juice from the chilli or garlic if I just use the food processor. Sometimes a bit of elbow grease is necessary to get the best results! Pound the chillies and the garlic to a fine mush. Mix in the vinegar, lemon juice and add the sugar. If it’s too hot for you, you can dilute it with some water, or more lemon juice and vinegar. It you think it’s too tart, add more sugar and if you love garlic, pound more cloves of garlic! Transfer to a dish and put the rest in a jar. 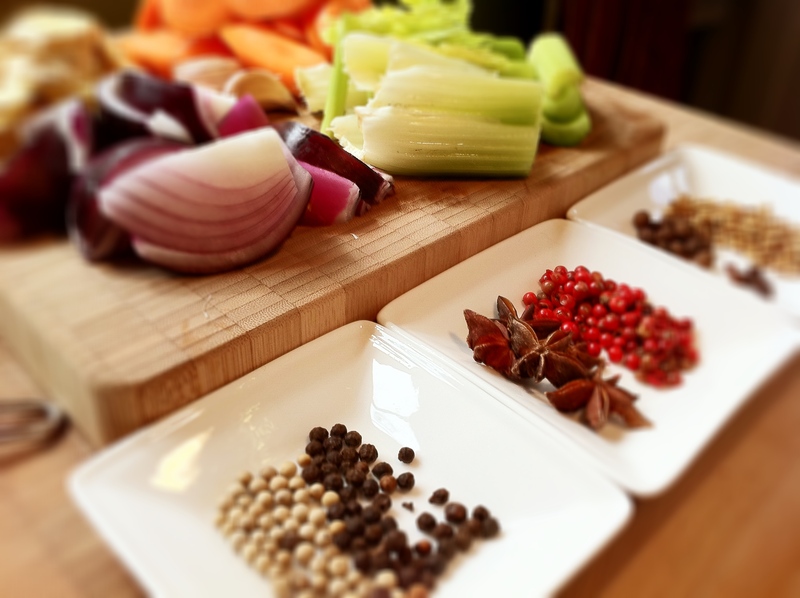 Ginger oil dressing – it seriously rocks. After you’ve pounded the ginger until it becomes a coarse mince, transfer it to a jar or a mixing bowl (make sure you capture as much of the yellow juice!). Mix the spring onions evenly with the ginger and cover the whole lot with the vegetable oil (make sure the oil covers your ginger and spring onion. Mix in the sea salt. You can actually eat this straight away but it’s 100 times better if you let all the flavours blend together overnight. I’ve just called this my chicken dressing and after I make it, I use half of it to pour over the chicken and I keep half on the table for everyone to use as an additional dressing over their rice/chicken or in their soup. Put everything into a bowl and stir until the sugar’s dissolved. Easy! I have a supersized catering pot which means I can make a lot of stock so if you don’t have one that can pit a chicken and 4 litres of water, just find a large pot that will fit a chicken and at least 2-3 litres of water and start by using 1 stock cube. You can always add another if you don’t find it flavourful enough. Less stock simply means less soup for the table. You just have to make sure your pot is big enough to completely cover your chicken to ensure it’s big enough to 1) poach your chicken and 2) provide enough stock to cook your rice with. If your chicken’s strung, don’t remove the string as it’ll make it easier for you to fish the chicken out of the pot and helps to keep the chicken together. 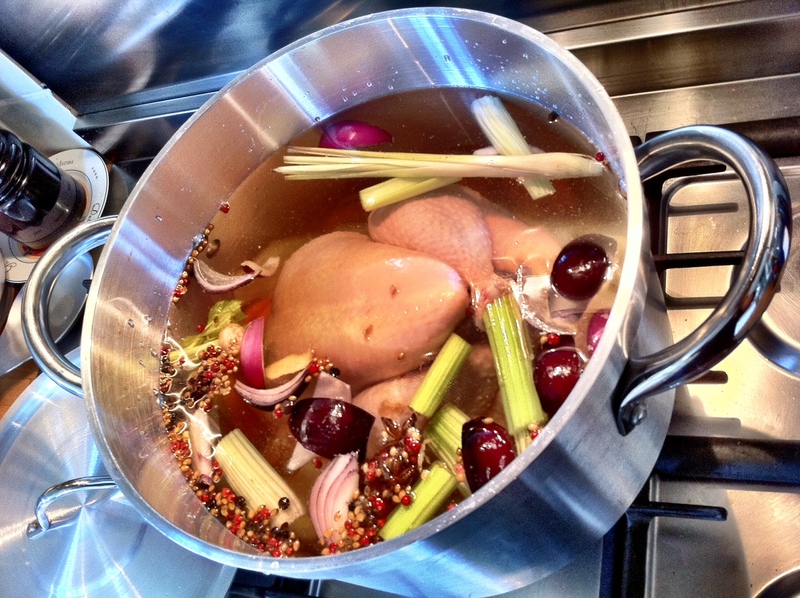 Place the chicken and all the vegetables and spices into a large cooking pot and cover with the cold water. Cover the lid and bring it up to a boil. 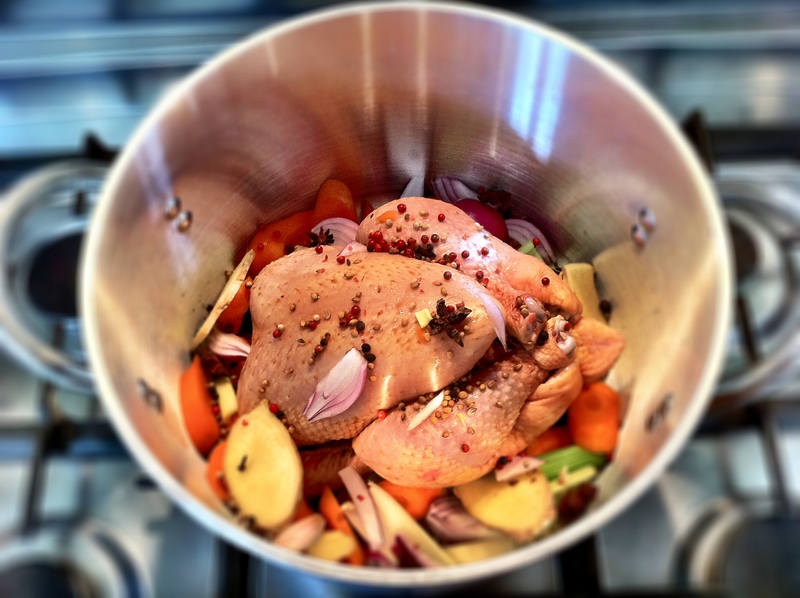 Once it’s boiling, turn the heat down and let the chicken poach on a gentle simmer for about 1 hour. After an hour, lift the entire chicken out of the pot – you may find the wings might fall off – it’s that tender and moist after poaching! Cover the chicken with aluminum foil and set it aside somewhere where it can stay warm (I normally put it into the microwave). 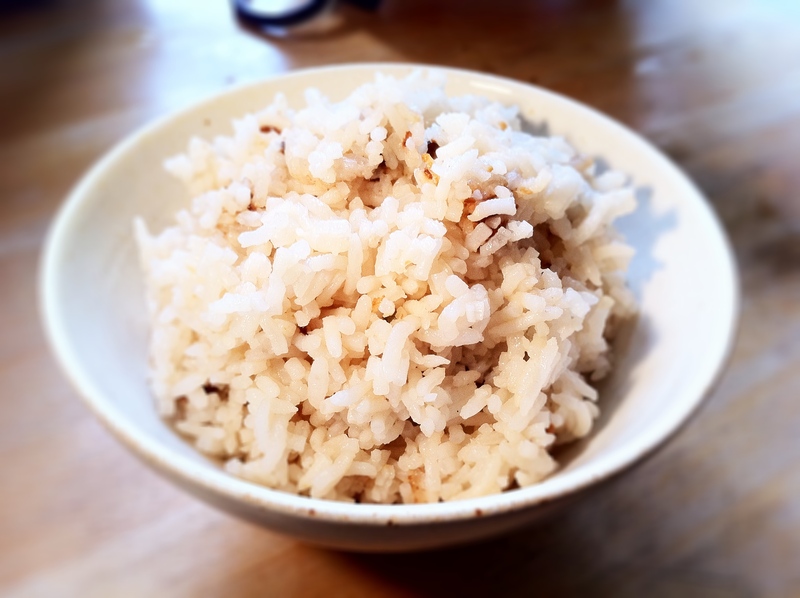 If you don’t have a rice cooker, follow the instructions on your packet of rice however do use the steaming method for cooking your rice. All you need to do is to substitute the water your normally use to cook your rice and use your chicken poaching stock instead. At this time, also make some vegetables, like boiling / steaming some kalian. Serve the kalian with a couple of splashes of oyster sauce and a drizzle of sesame oil. I line a large serving plate with slices of fresh cucumber and sometimes tomato slices as well. I tear off the drumsticks, legs, thighs and wings and place them around the serving plate. I think remove both pieces of breasts from the bone (then put the remaining carcass back into the cooking pot) and slice the chicken breast, laying it on top of the other chicken pieces. If you’ve found your chicken going slightly cold, just zap it in the microwave for a minute or do. Drizzle the chicken dressing over your chicken pieces and garnish with a big dollop of the ginger oil dressing. 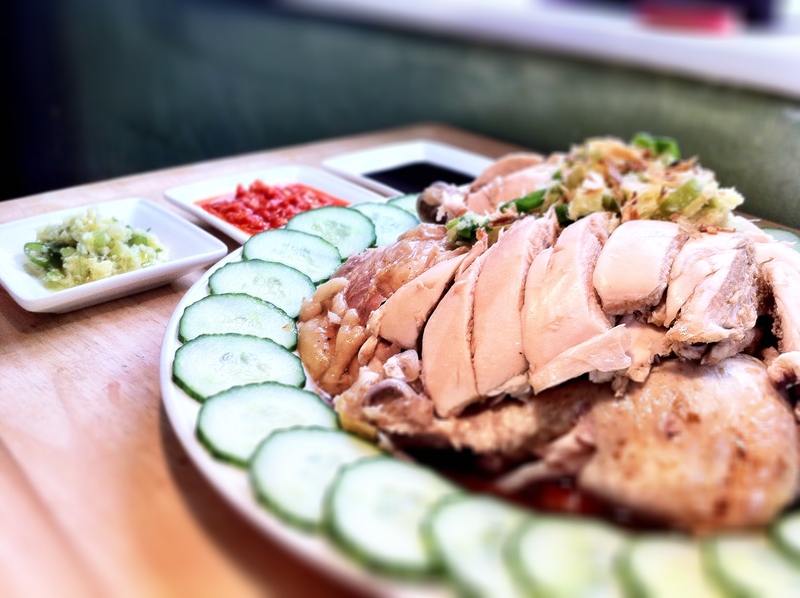 Serve the chicken with the rice, vegetables, soup on the side and saucers of sweet soy, more ginger oil dressing and the chicken rice chilli. 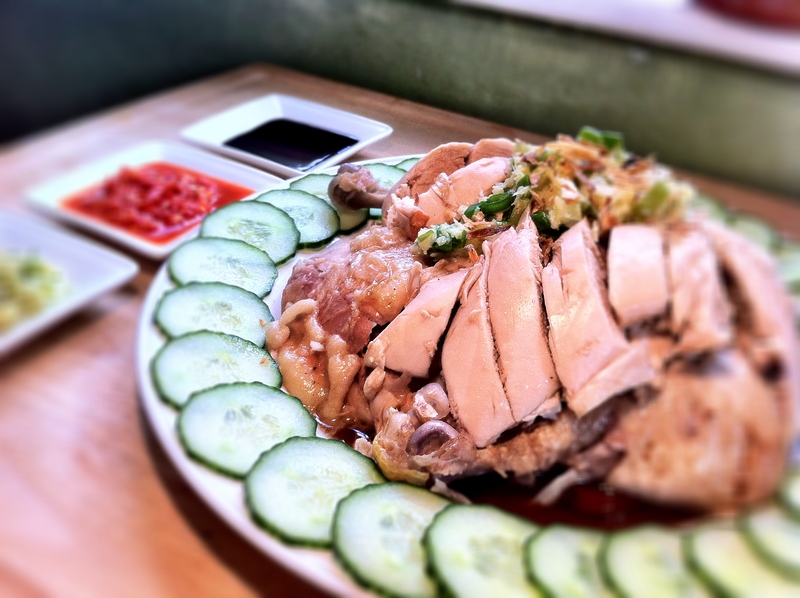 Having jut mentioned chickenrice in my previous comment to you and finding this – I’m not only super hungry, but super determined to attempt this badboy! 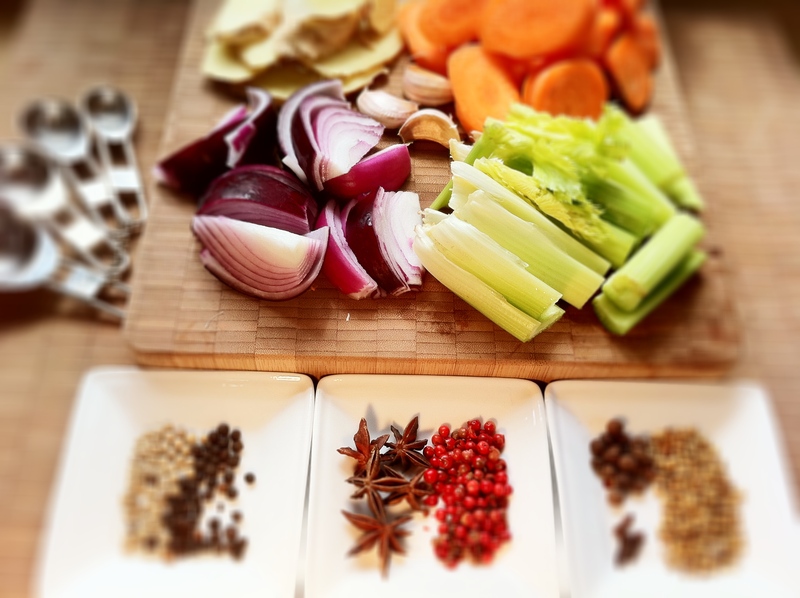 For me its all about the ginger sauce and the chilie sauce…will let you know how it goes! !